One of the strengths of the MCB program is that our faculty participate in a large number of affiliated programs. These programs provide substantial opportunities for enhanced scientific interactions for MCB students. Please contact mcb@uw.edu to be listed as an affiliate program. The Fred Hutchinson/University of Washington Cancer Consortium is a research collaboration comprising Fred Hutch and its strong collaborators, the University of Washington, Seattle Children's, and the Seattle Cancer Care Alliance. 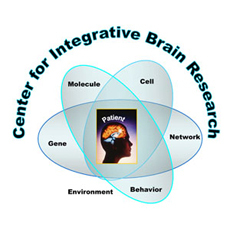 The Center for Integrative Brain Research is unraveling the mechanisms beneath neurological, neurodevelopmental and neuropsychiatric disorders. This knowledge will lay the foundation for innovative pediatric therapies that prevent or cure these disorders. The Institute draws upon the expertise of a wide range of investigators with complementary interests in diabetes, obesity, inflammation, lipid metabolism and atherosclerosis. The University of Washington Institute for Stem Cell and Regenerative Medicine (ISCRM) is committed to the ethical pursuit of basic research to unleash the enormous potential of stem cells and thereby develop therapies and cures.